Le Creuset, maker of the world’s most trusted and treasured premium cookware, is proud to announce the opening of its newest store at Mohegan Sun in Uncasville, Connecticut. The grand opening will be celebrated Sunday, December 9th with special offers, a 1:00pm cooking demonstration with Chef Cara Rusconi from Chow Food and Beverage Company and a free Le Creuset tote bag with any purchase, while supplies last. “We’re excited to be joining Mohegan Sun and look forward to offering their visitors a colorful shopping experience. From our iconic enameled cast iron, to stainless steel cookware, to kitchen and wine tools, our store will be invaluable for those who love to cook, entertain, and give great gifts,” said Diane Foster, Vice President Retail for Le Creuset. The store will be located on the lower level of The Shops concourse next to the Mohegan Sun Box Office. Store hours will be Monday – Thursday 10:00am – 11:00pm, Friday – Saturday 10:00am – Midnight and Sunday 10:00am – 10:00pm. About Le Creuset: For nearly a century, Le Creuset has focused on inspiring and empowering people everywhere to make joy through cooking. From the original enameled cast iron cookware to stoneware, stainless, silicone and more, Le Creuset has grown to offer products across a range of materials and categories that guarantees the right tool for the right job. 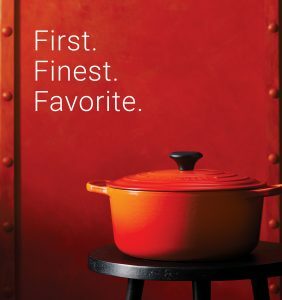 For a list of Le Creuset stores, please visit www.LeCreuset.com/stores.